Thanks for stopping by my home on the web. I specialize in custom portrait photography for Perfectly Understated girls all over North Dakota and the Midwest. 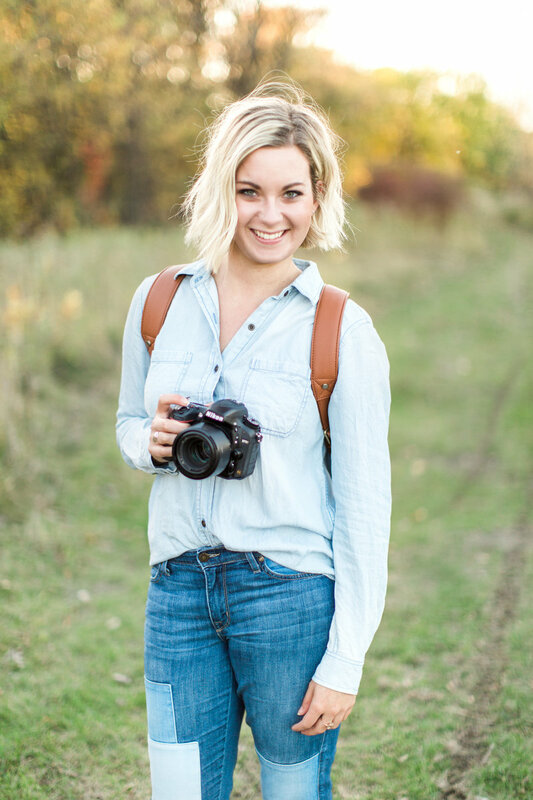 The breathtaking wide open spaces + lush fields of the Great Plains is the perfect backdrop to tell your story while exploring and creating beautiful photos. You are a beautiful combination of where you come from and where you are going. Let’s embrace that beauty together! I'm a North Dakota girl - born and raised - with an affinity for the Midwest. 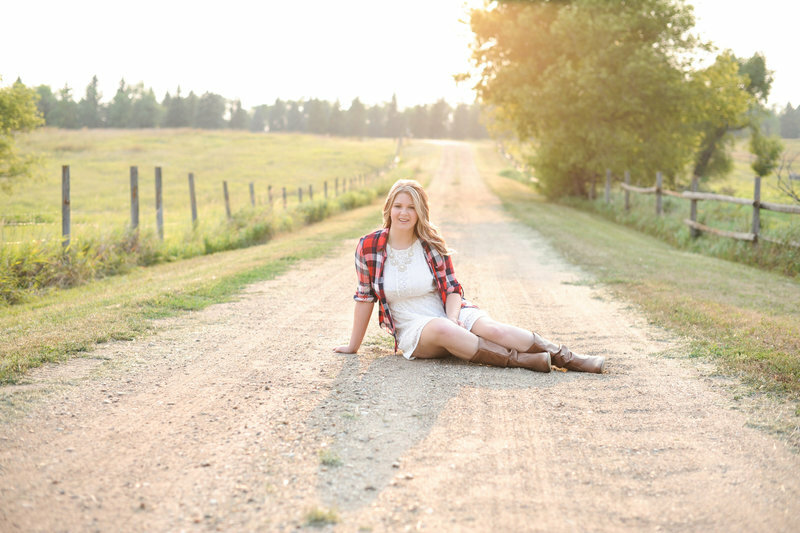 I grew up in small town, spending my days reading books, finding adventure with my friends, and wandering through the fields at my family's Ranch. There's just something about the fresh air, prairie wind, and open space that will always have my heart. I'm definitely an extrovert, but there's nothing I like more than spending time in happy spaces with lots of natural light, reading a good book, and cuddling up in my favorite blanket. I've been all over the world, seen the sunset in over 15 countries and countless parts of three of the world's oceans. But, no matter the places I go, there's nothing better than the sound of crickets chirping, watching the sun go down on the backdrop of a watercolor North Dakota sky. The Midwest has shaped who I am as a person and a photographer. There is so much beauty here, and I can't think of a better location for us to explore together, capturing your session! My wanderlust heart loves to travel, make new friends and meet new people. The truth is, I'm a very simple girl. My go-to outfits are a denim button-down + jeans, a comfy dress + favorite boots, or simple tees + statement jewelry. I love slow mornings, spontaneous adventures, and I'm obsessed with brunch. "IT IS THE SWEET, SIMPLE THINGS IN LIFE WHICH ARE THE REAL ONES AFTER ALL." Yes, I own a Kate Spade purse (just one). And, yes, I love me a great pair of heels. But at the end of the day, my best outfit is my worn denim shirt, favorite jeans, and a gold necklace with sparkly accents to add a subtle touch of glitz + glam. You will most often find my short, blonde hair a curly tousled mess upon my head, and I've been doing my makeup the same way since junior high (no contouring here!). MY STYLE SUMMED UP? SIMPLE GLAM. No hassle, no fuss, no big lights, or couture wardrobe changes. Just you, your unique style and your midwest wind-blown hair. We won't worry about perfection. Instead, we will concentrate on capturing your personality in a relaxed, real, candid way: PERFECTLY UNDERSTATED. 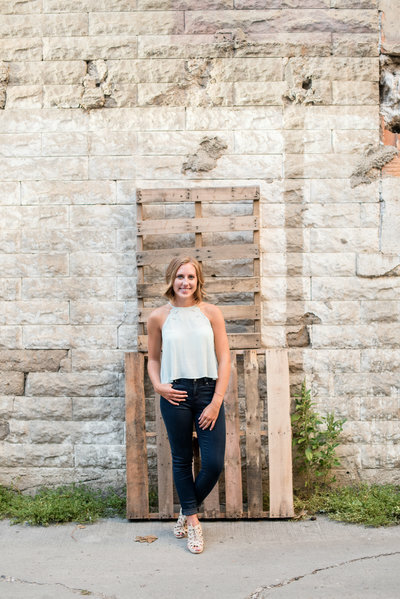 THIS SIMPLE STYLE IS ME AND I WANT YOUR SENIOR SESSION TO BE YOU. Your photos will capture your beauty - inside and out. They will forever be a reminder of how unique and brilliant you are, right now in this moment. No extra makeup, hairspray or sky-high heels needed. 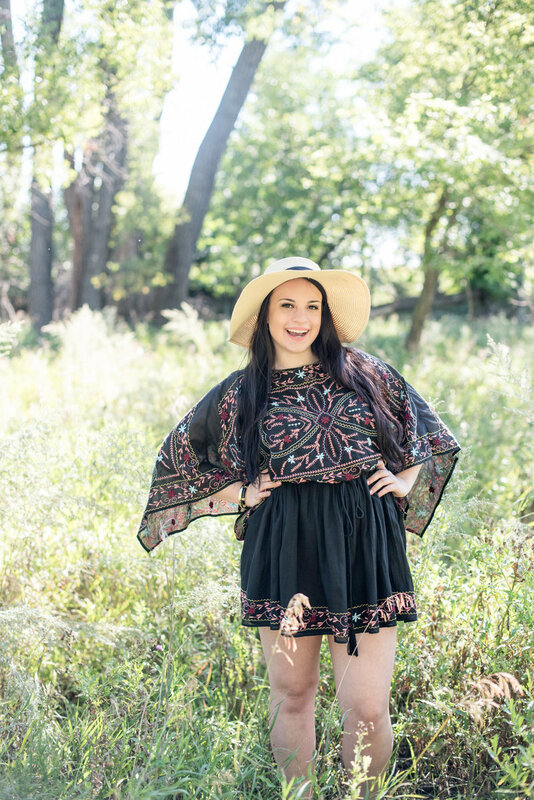 Just you, your favorite outfits, and the beautiful Midwest natural light. We won't strive for perfection. Instead, we will concentrate on capturing your personality in a relaxed, real, candid way and celebrate your success as you prepare to take the next step in your life. 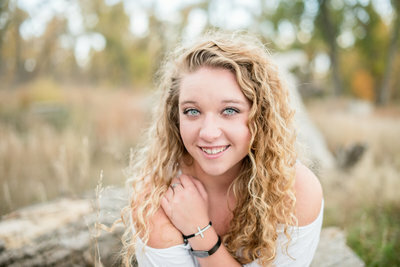 your senior session will FOCUS on you. My girls are sophisticated but sassy; simple but glam; and own their unique style. Instead of defaulting into what's trendy, they stay true to things they love. Instead of worrying about the latest contour and highlight technique, they enhance their natural features, knowing how genuinely beautiful they are. 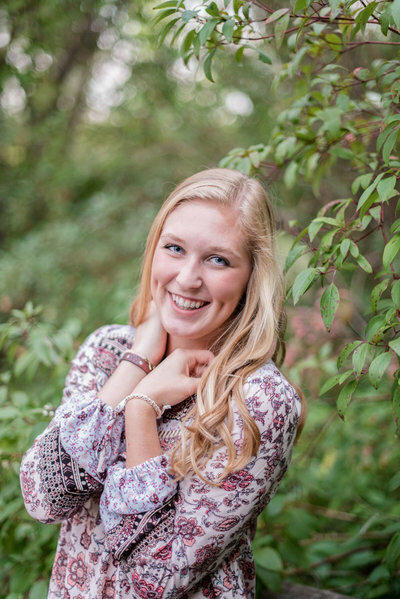 Ready to celebrate your senior year with photos that represent you without extra fuss? Please complete the contact form and I will get back to you within 48 hours!